This is known: in less than 18 months, the container shipping industry will be hit with a massive annual operating bill in the billions of dollars. Photo credit: Shutterstock.com. Shippers should view ocean carrier efforts to recoup higher fuel costs via emergency bunker fuel surcharges as a costly harbinger. In less than 18 months, the container shipping industry will be hit with a massive annual operating bill in the billions of dollars, with the latest phase of the International Maritime Organization’s (IMO) low-sulfur emissions rule kicking in. Either way, shippers will pay in the form of higher bunker fuel adjustment factors (BAF) and possibly so-called emergency surcharges levied by carriers caught off-guard by the spike in operating costs or those less scrupulous. US shippers are increasingly aware of the new cost coming their way, and many already are warning the C-suite that all-in transportation costs will increase no matter how ruthless they are in service contracts, according to conversations with nearly a dozen beneficial cargo owners. Those same shippers said their carrier representatives are also more aware of the rule and warning of BAF increases of up to 50 percent, compared with a year ago when some of those sales officials were baffled when conversation turned to the low-sulfur rule. For shippers who create their own BAF formula and then seek agreement from carriers, the change won’t be dramatic. But for shippers without such capabilities, the demise of the Transpacific Stabilization Agreement has left them without a guide that the carrier discussion agreement provided. 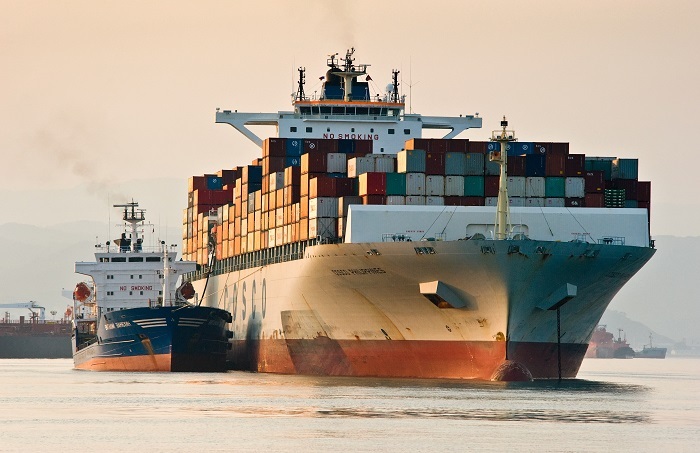 For both sets of shippers, there is also uncertainty how carriers that seek to meet the emissions rule by implementing scrubbers will try to pass on the costs to shippers. While Maersk Line and Hapag-Lloyd have chosen to comply with the rule by purchasing the costlier fuel, shipowners are warming up to scrubbers, with 510 vessels of all kinds fitted with scrubbers on order in May, compared with 90 ships in March, said Hedi Grati, an IHS Markit energy analyst. Grati said the refining industry, which has yet to finalize the various recipes for the low-sulfur fuel, appears to have begun preparations for the mandate; announcements about compliant fuel availability from 2019 are starting to trickle in. IHS Markit, parent company of JOC.com, also downgraded its expectations on the duration of the most extreme bunker price spike to the first six months of 2020, compared with an earlier forecast predicting a year-and-a-half to two years of extreme spreads. The improved outlook is mainly because of changes in the global crude oil landscape, and the availability of spare storage capacity. Nevertheless, the compliant fuel is expected to trade at a steep premium to crude oil in 2020. Beyond warning the C-suite of rising fuel prices, shippers should be separating their freight and fuel costs so they have a handle on their spending, said Matthew Muenster, senior manager of applied knowledge at Breakthrough Fuel, a transportation fuel consultant. Refineries’ escalation of low-sulfur fuel production could increase pressure on diesel prices because both fuels share similar inputs, he warned. And shipowners taking the scrubber path to meet the mandate may find rising prices for higher sulfur fuel if not enough of their brethren take a similar route, potentially spurring refineries to produce less, Muenster added. It’s also unclear what systemic change the new mandate will bring. Will the rule spur carriers to order larger vessels to capture greater economies of scale, much like they did when fuel prices spiked, along with demand, before the global financial crisis? Will more carriers join Maersk and Mediterranean Shipping Co. in slowing their ship speeds? Will carriers modify their networks to fewer calls to reduce fuel consumption? However the market reacts, it’s a safe bet shippers’ fuel price tags will increase across various modes. Contact Mark Szakonyi at mark.szakonyi@ihsmarkit.com and follow him on Twitter: @szakonyi_joc. The comments by the MOL CEO makes one wonder - if one of your most significant costs goes up significantly, as well as those of your competitors, wouldn't you then pass that along to your customers? His statement, while incomplete here, was saying the industry will "go bust" - meaning the global trade comes to a grinding halt? This is a high cost regulation being imposed globally on an industry and easily, if reluctantly, understood. The the price of the services affected has to rise - or as suggested, the carriers go bust. But reality is that the carriers make decisions on how to gain more cargo volume and market share - virtually always by price reductions, including exemptions from fuel surcharges. So the ball is in their court, history says they will hit it into the net.